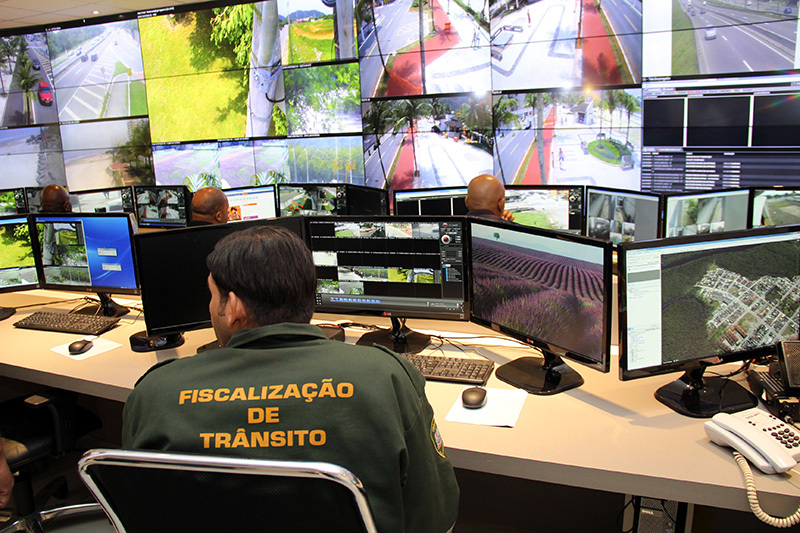 Urban surveillance in the municipality of Praia Grande/SP is considered pioneer and one of Brazil’s largest, especially considering the number of cameras installed and the versatility of the on-board services in its platform. 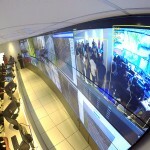 Inaugurated in 2002, as part of the digital INFOVIA project designed to interconnect all communal services, it had only 16 speed dome cameras, which are those that feature 360-degree movement, and other 160 fixed cameras. 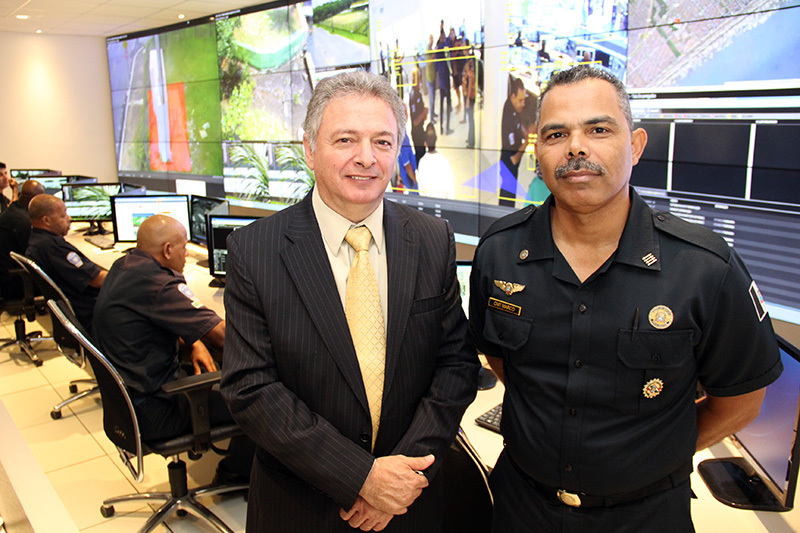 After more than a decade of operation, period of time in which it has been receiving investments with state-of-the-art technology, local City Hall remodeled part of the project, giving origin to CICOE-PG (Integrated Control and Special Operations Center of Praia Grande). 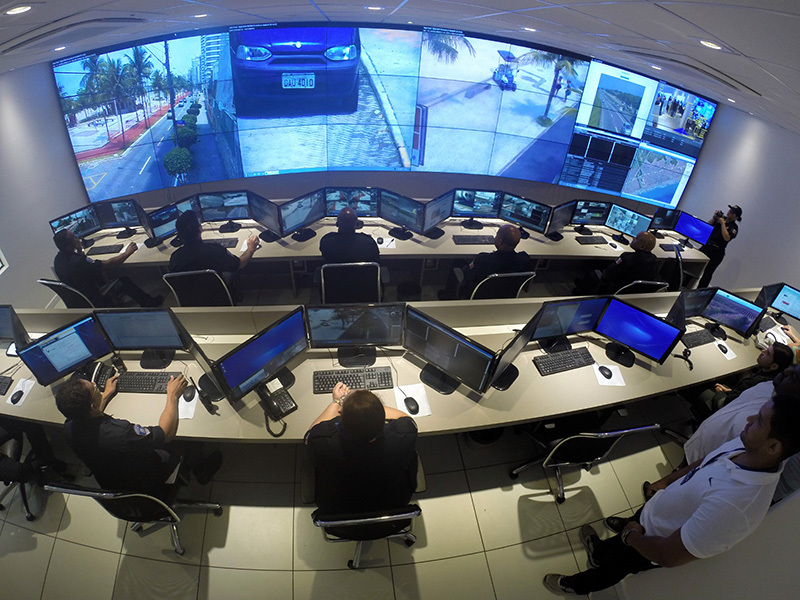 With CICOE, the system started to offer an integrated control, expanding the previous structure of four operators per shift to 12 new surveillance positions, 24 hours per day. 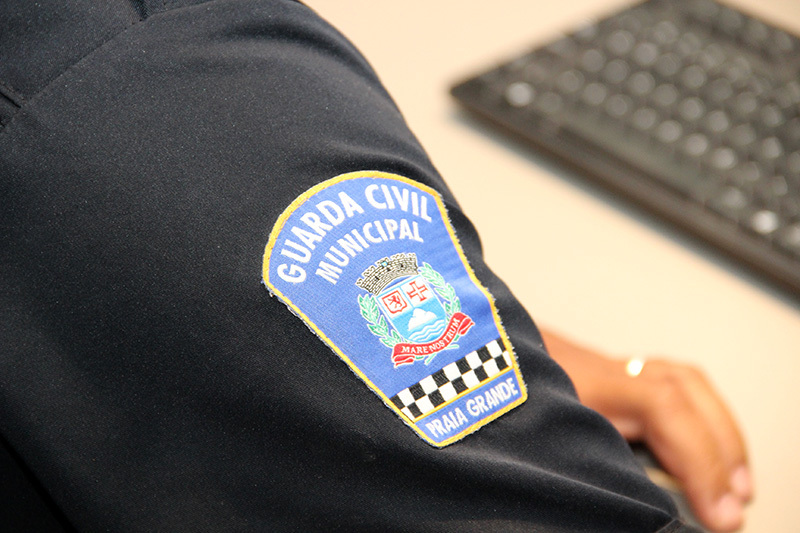 With focus on occurrences and in providing support to street teams, the site brings together Traffic Agents, Municipal Guard, Military and Environmental Police, Civil Defense, and supervisors who monitor invasions of environmental protection areas. 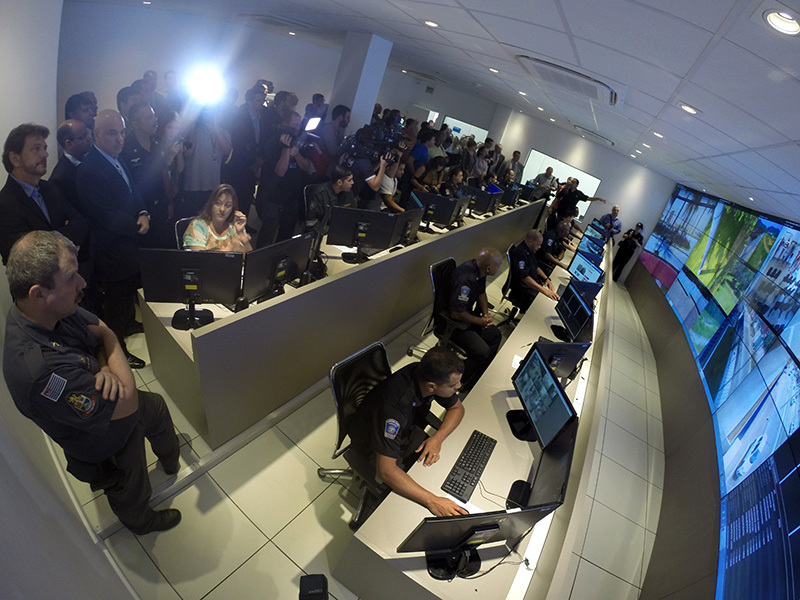 At the same site, a special room was also built to bring authorities together in the event of disasters, emergencies and crisis management. 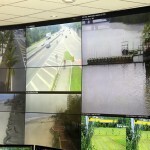 The preservation areas feature speed dome cameras in 20-meter high poles and Wi-Fi connection, improving the surveillance of those areas away from the urban center. 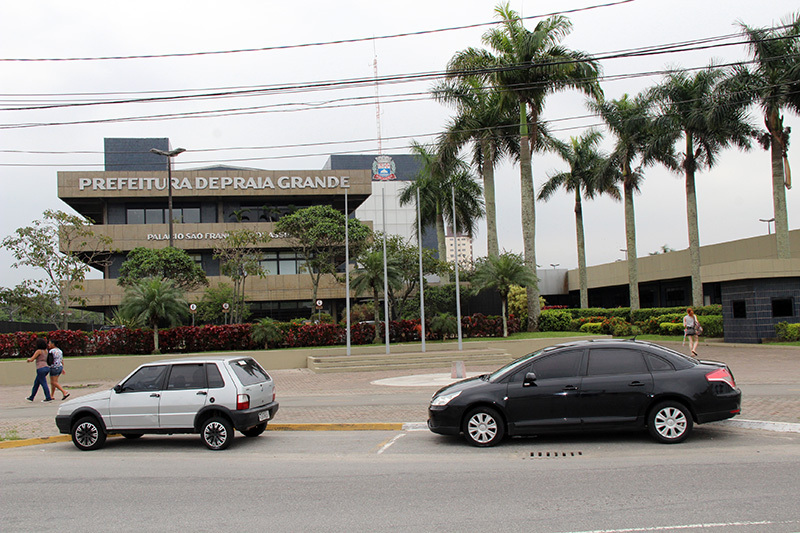 Praia Grande has approximately 288 thousand inhabitants, distributed in 32 districts and an area of 147 km². 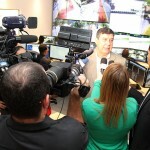 City Hall has already tallied over 1 million people in the city during the summer. 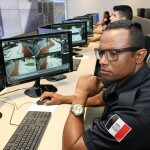 Thousands of transgressions are registered, allowing offenders to be detained in real time by the police forces or soon after the investigation of the archived images. 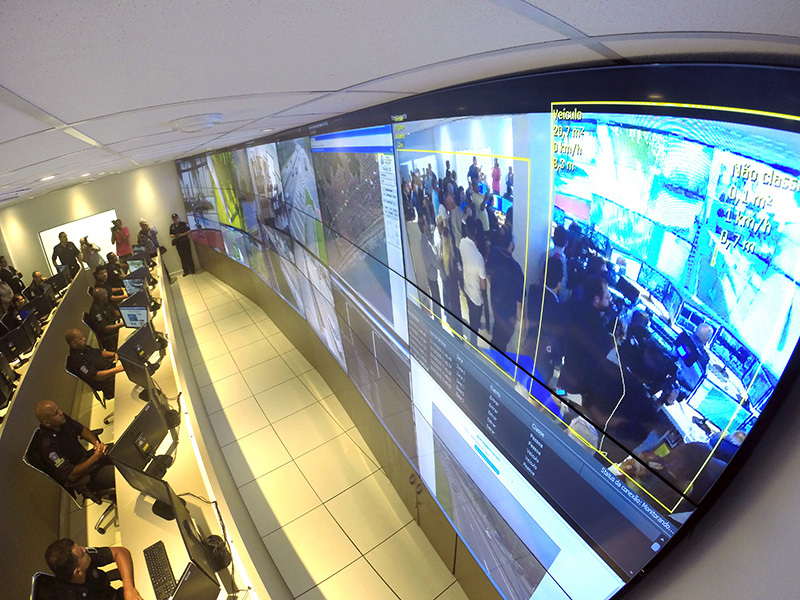 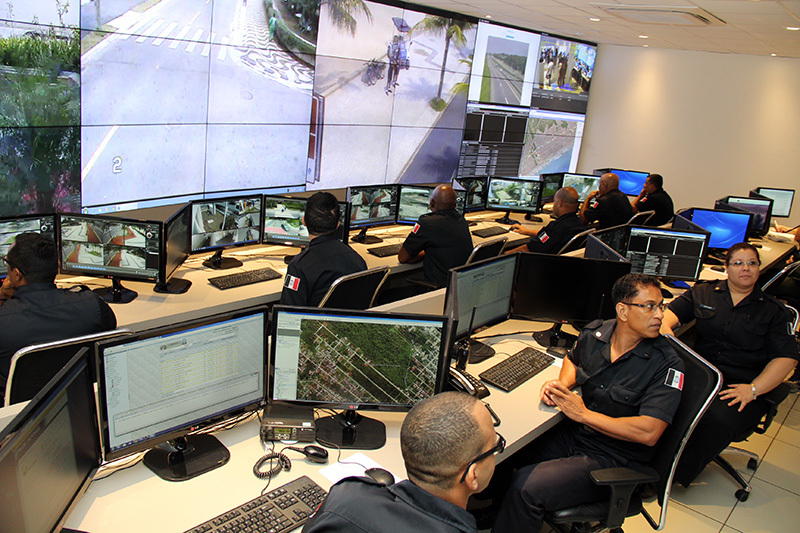 Presently, by means of an internal video wall panel with twenty-four 55″ high-definition monitors, approximately 1500 fixed cameras and other 80 speed domes scattered throughout the streets, CICOE monitors more than 100 communal services (schools, buildings, hospitals, parks, squares, etc. 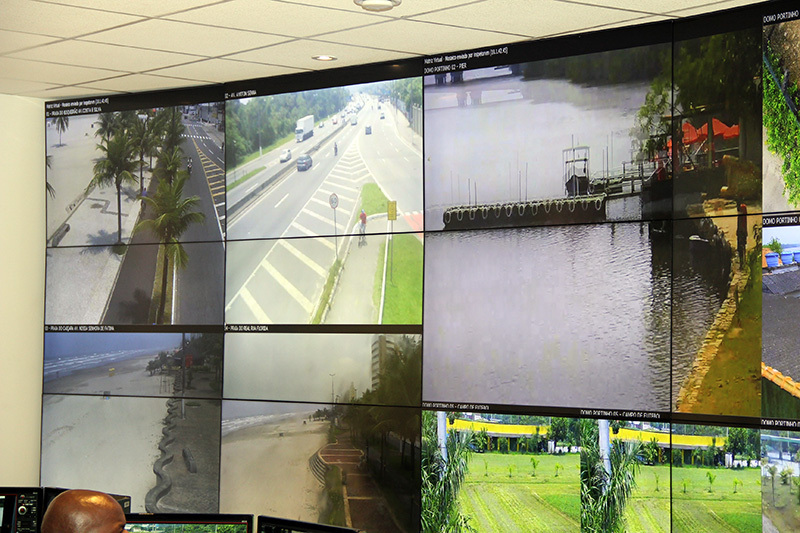 ), roadways, commercial centers and the 22 kilometer-long beach front. 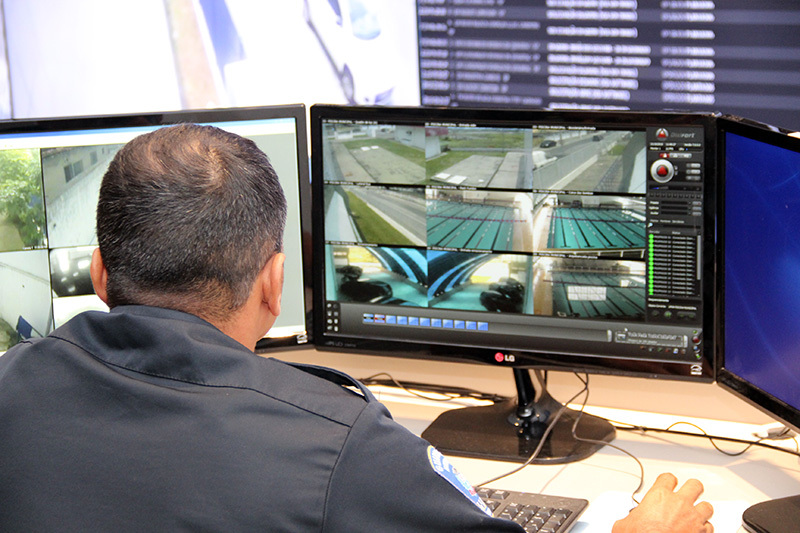 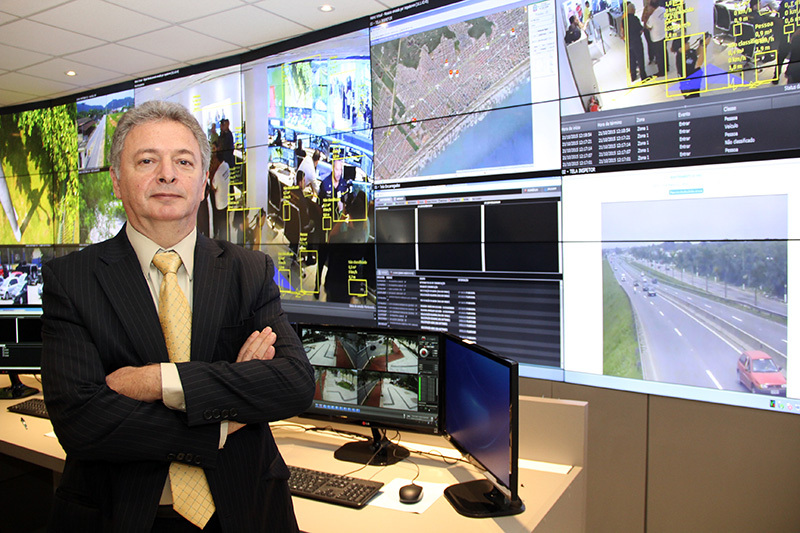 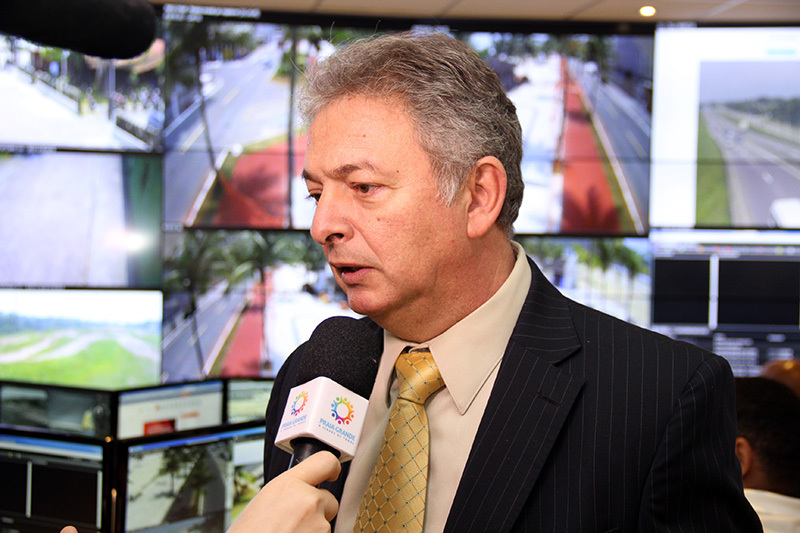 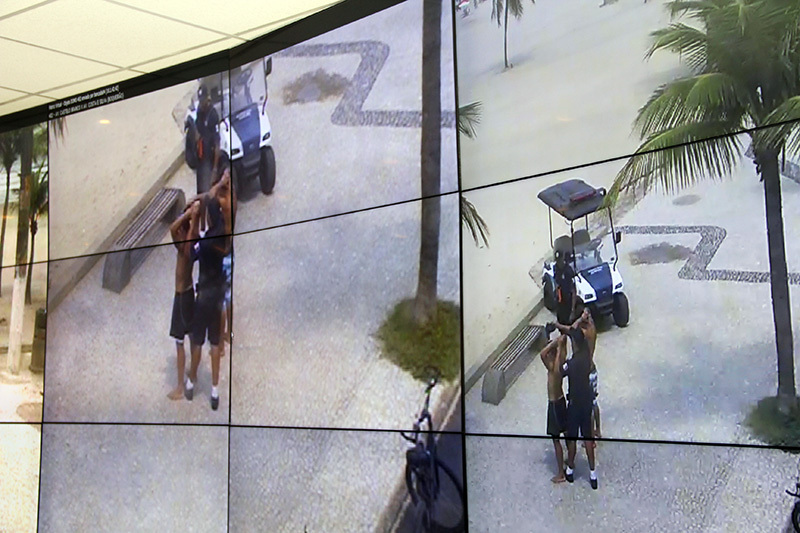 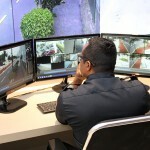 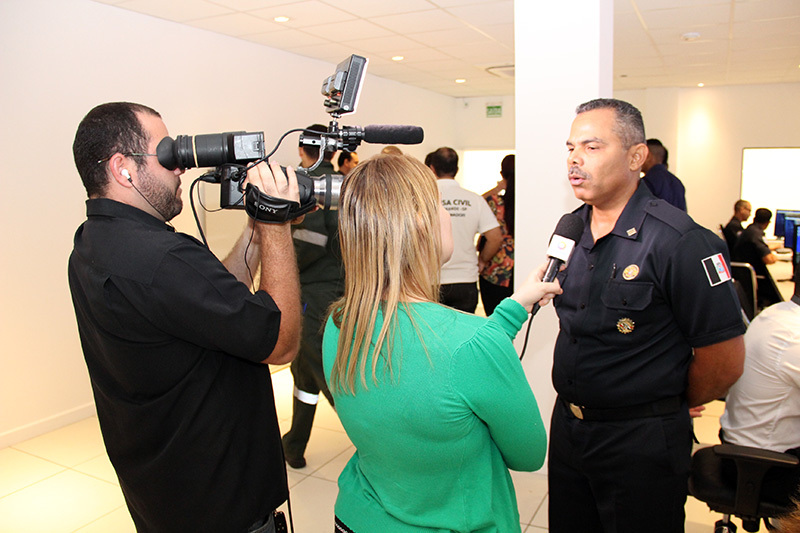 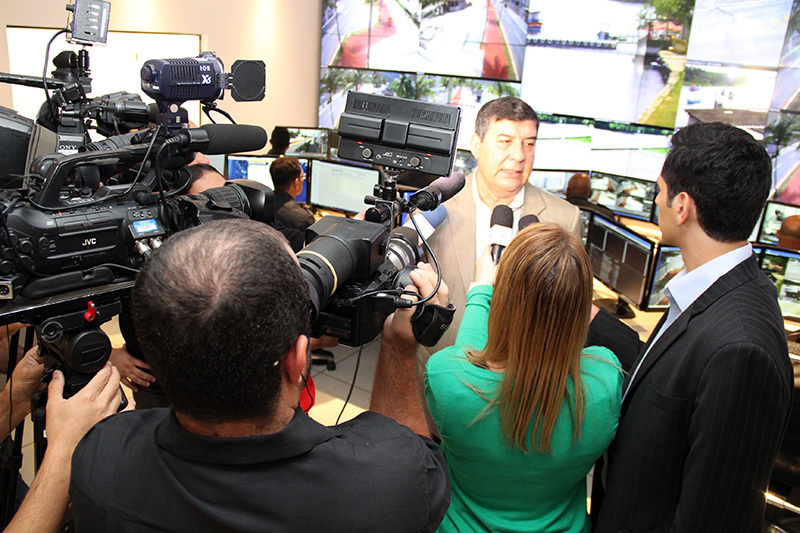 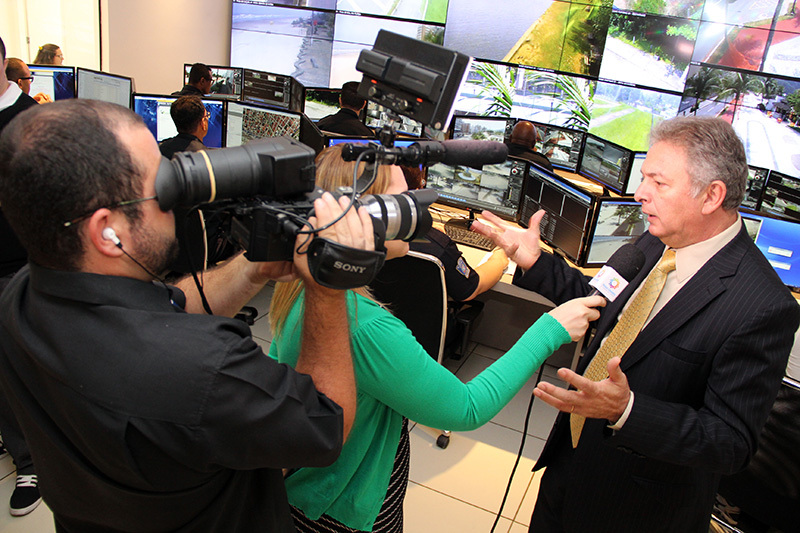 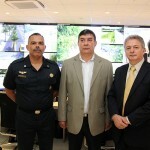 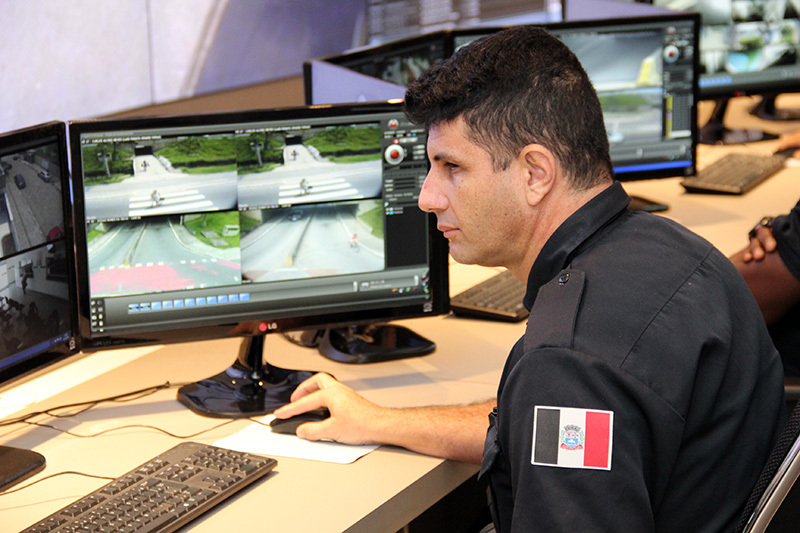 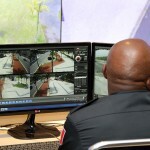 Technology – Digifort – The First Brazilian IP Surveillance Software – has provided the municipality with urban surveillance technology for over 10 years. 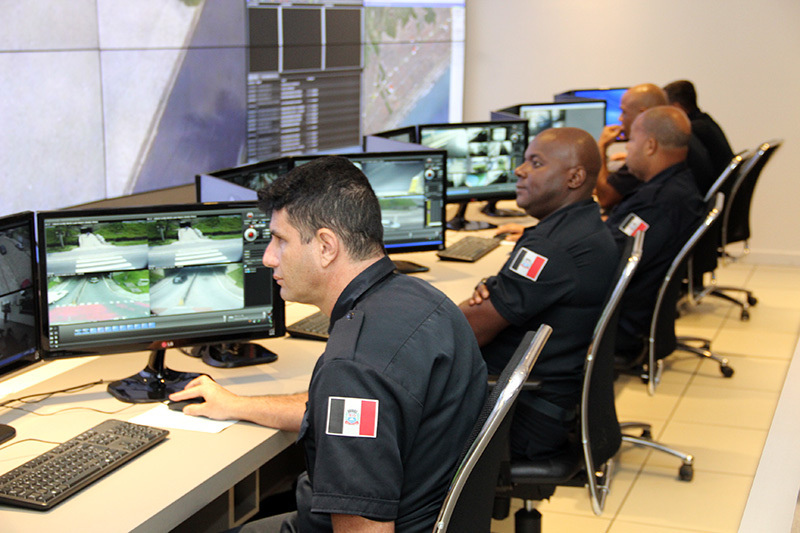 The duration of this partnership has the basic technical features for the success of the project, as explains Sandro Pardini, head of the Information Integration Department of Praia Grande. 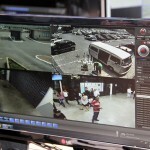 “The software has no limits of cameras per server and per registered users. 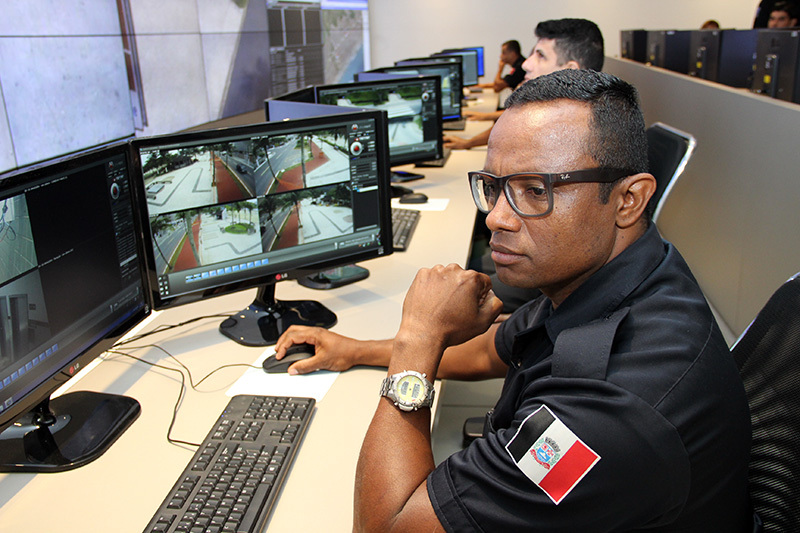 By following the rules defined for each type of access, school principals, municipal secretaries and other professionals with strategic roles within the communities can access the system without the need of physically being at CICOE”. 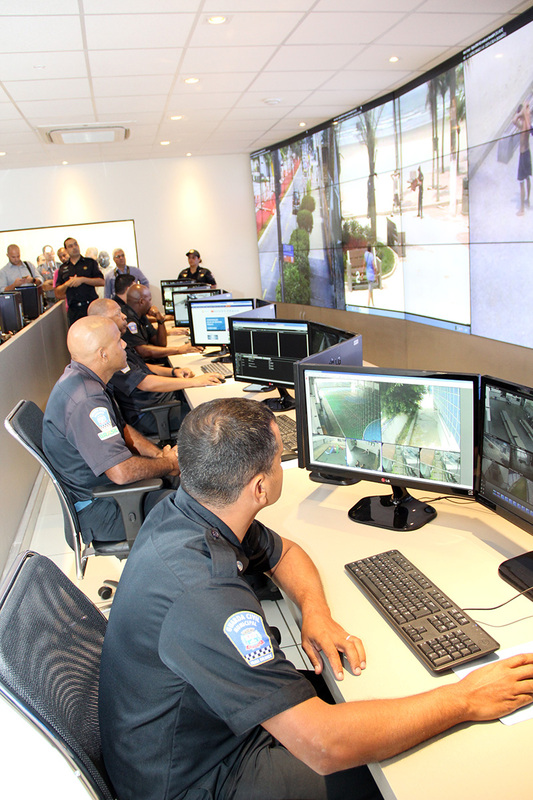 As an example of these differentials, each communal unit may have a security routine tailored to its daily reality, by using Video Analytics, Alarm and Automation, Biometrics, LPR (License Plate Recognition) and Evidence modules. 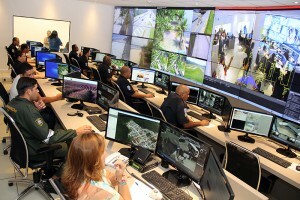 “These features from Digifort enable the management of alarms, presence sensors, panic buttons, and virtual fences, the delimitation of perimeters in the city, the surveillance of objects placed or removed from specific locations, the storage of images, to record, archive and search occurrences, among other demands that may affect public order. 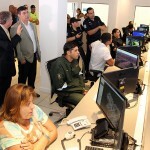 It all can be managed within CICOE or from a distance by authorized municipal managers”. 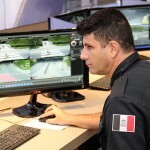 The system transfers data, voice and images in high speed via a fiber optic network with 300 kilometers of extension. 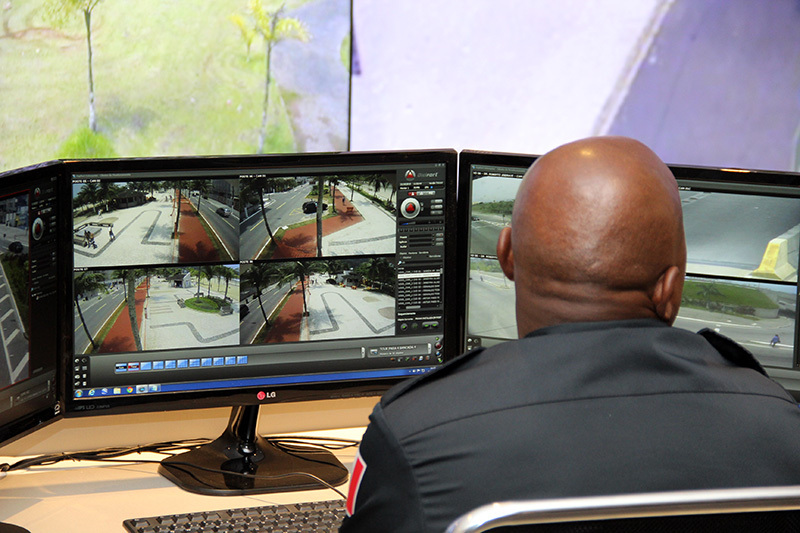 Such elasticity enables Digifort to operate with redundancy and to receive images from all city cameras. 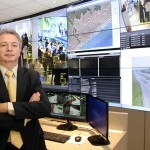 “We have 330 terabytes of space to store images at CICOE, and the switches from the communal services themselves operate in gigabyte and are convergent for other services that the municipal administration and population receive in real time, such as Internet access, telephony, school registration, medicine distribution, appointment scheduling, medical records and documentation. 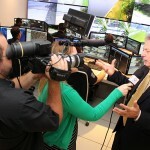 It all travels within our own digital infovia”, concluded Pardini. 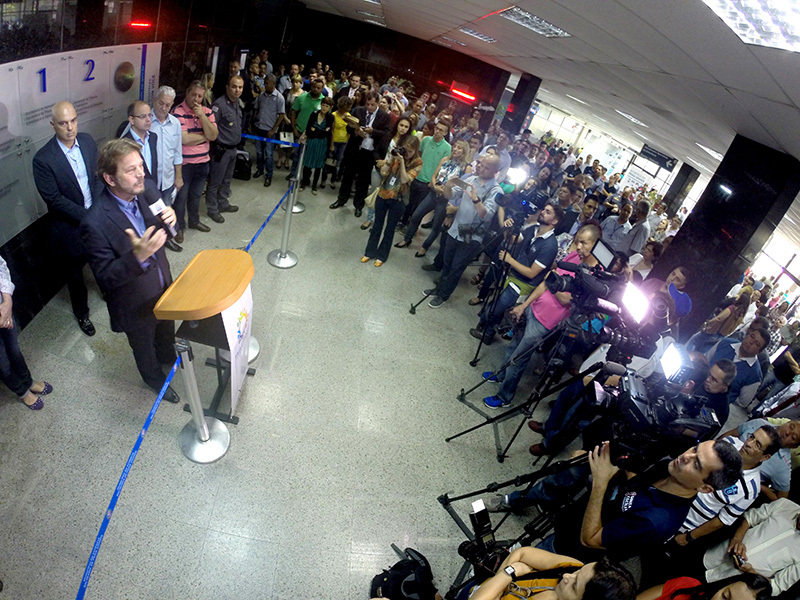 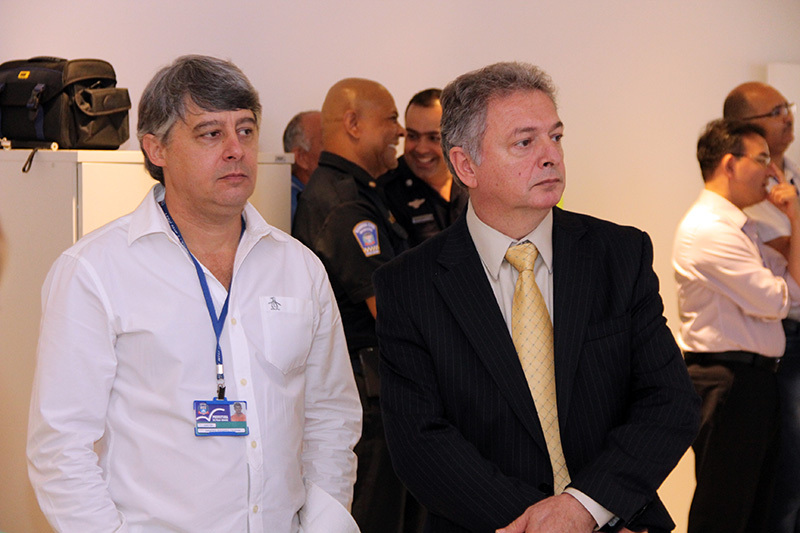 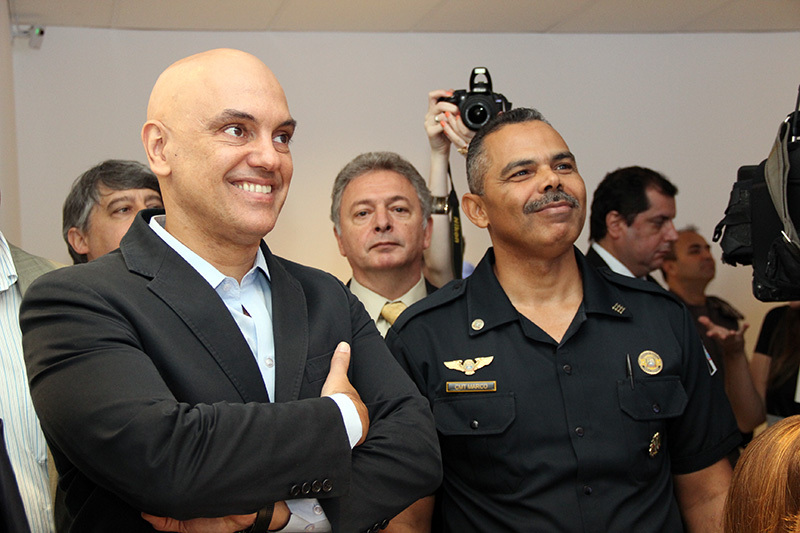 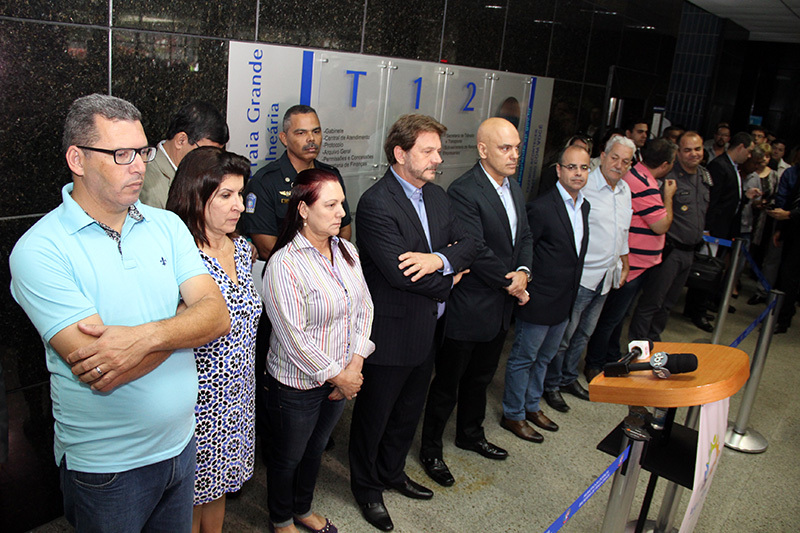 Inauguration – The presentation of CICOE counted with the presence of Carlos Eduardo Bonilha (Digifort CEO), Alexandre Moraes (Public Security Secretary of São Paulo), Alberto Mourão (mayor of Praia Grande) and other public and police authorities. 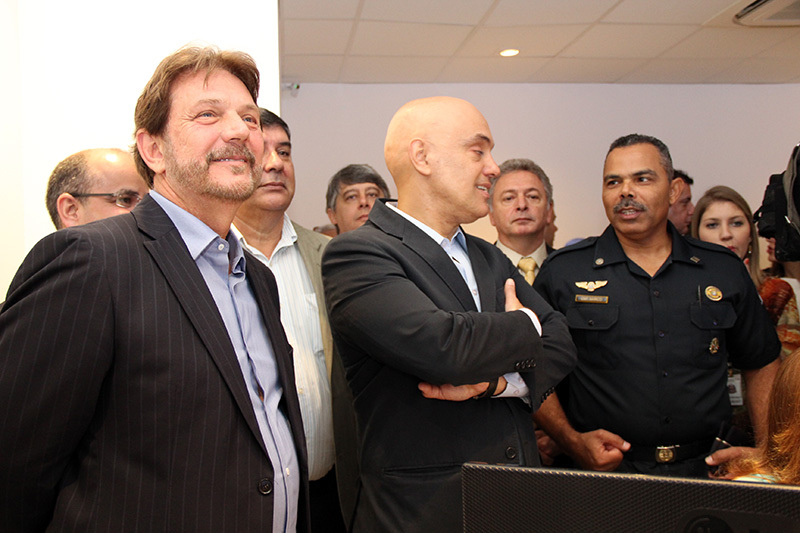 The mayor used the event to donate four electric-powered vehicles to the Military Police for the ostensive patrol of the city. 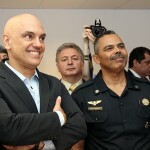 He also emphasized that crime-related problems must be faced together. 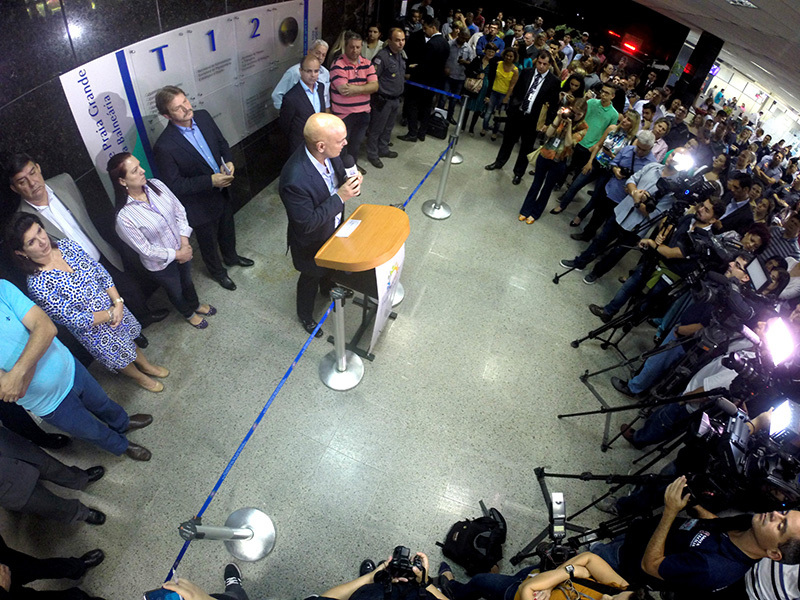 “I approached the neighboring mayors to propose the construction of a clinic for the treatment of the chemically dependent, in partnership with the State and the Union. 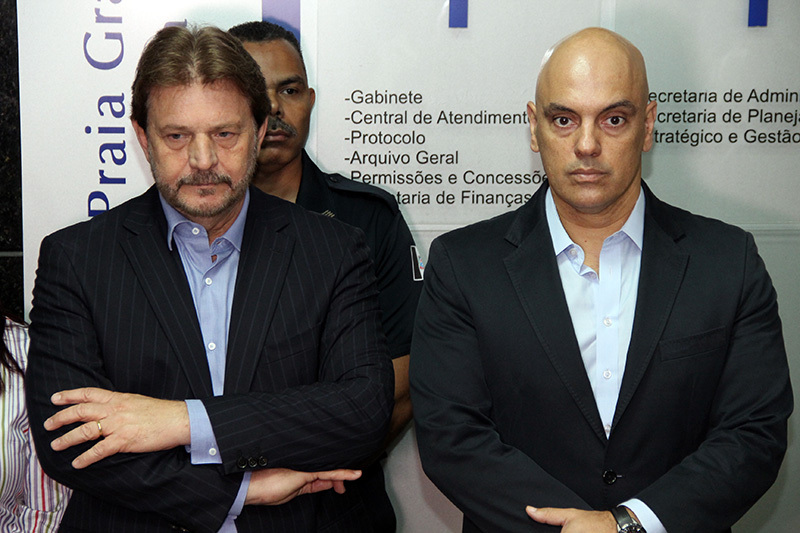 The addicted steals, robs and can even kill the father of a family to support his or her addiction. Technology helps, but it does not solve everything by itself”. 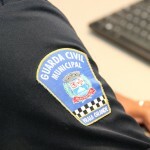 For this person family values are diverted and this hinders the fight against crime. He says that problems related to violence are systemic and may affect anyone. 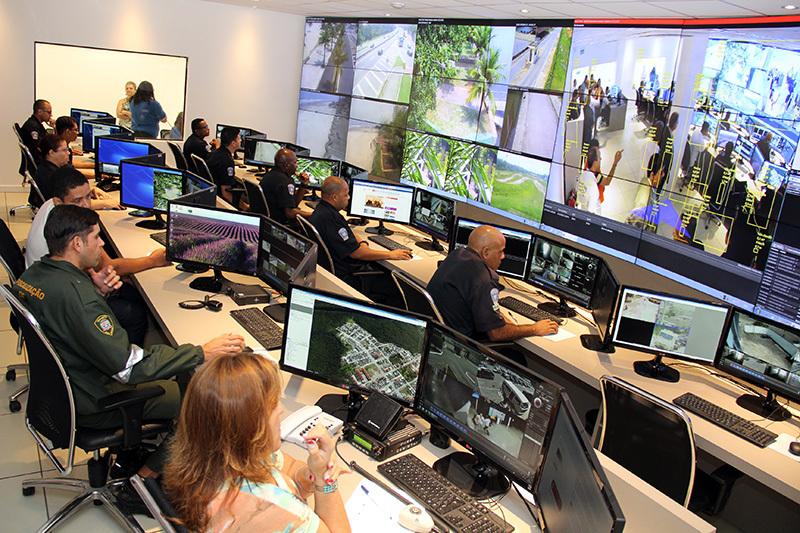 “What is required varies from the need of providing better education in children’s lives to a new way of dealing with young offenders. 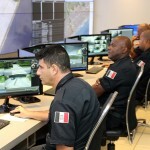 We lived based on a failed system, but I would argue that the union between governments can decrease the scenario of insecurity in which we live in. 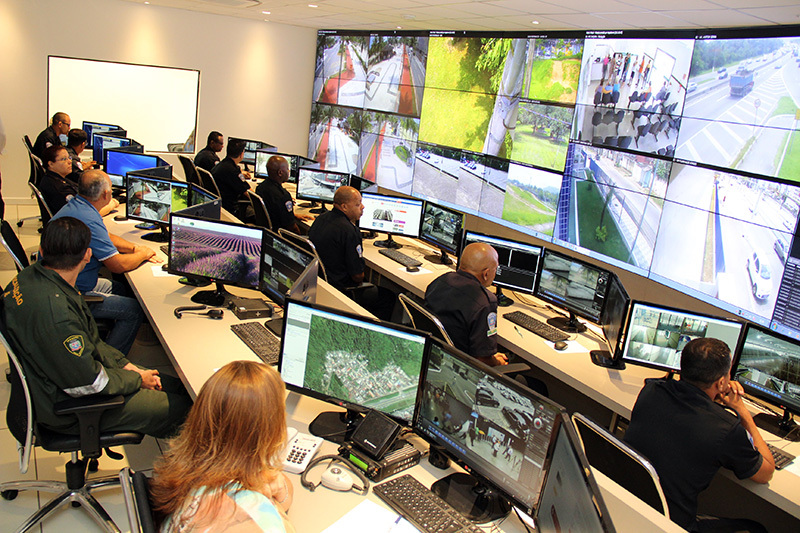 In addition to CICOE, which modernizes the local surveillance system, we also need the State to increase the number of police officers, since our population is rapidly growing. 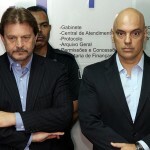 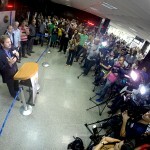 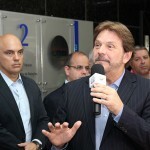 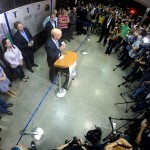 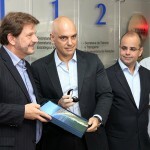 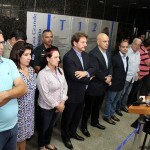 The city does its share, but we need several parallel measures”, emphasized Mourão. 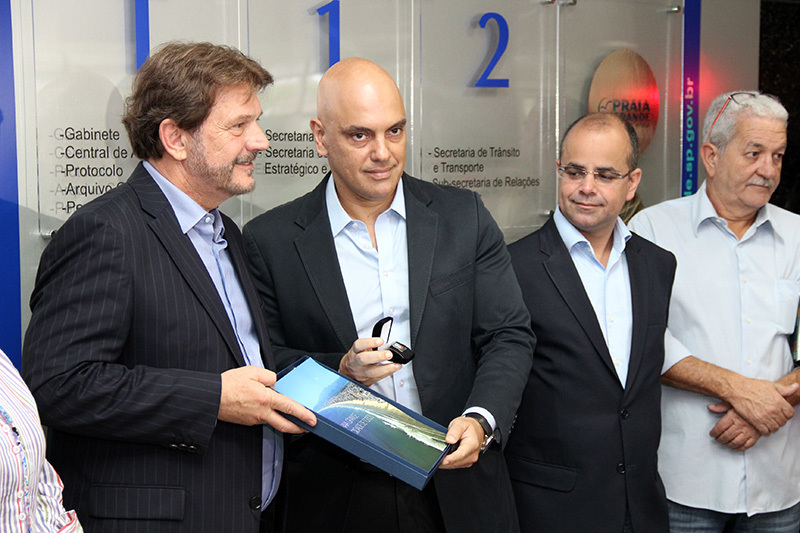 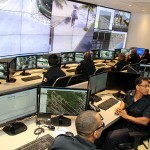 Versatility – Digifort’s CEO stated that Praia Grande will get a jump-start in light of the plans from the State government of centralizing regional and urban surveillance systems. 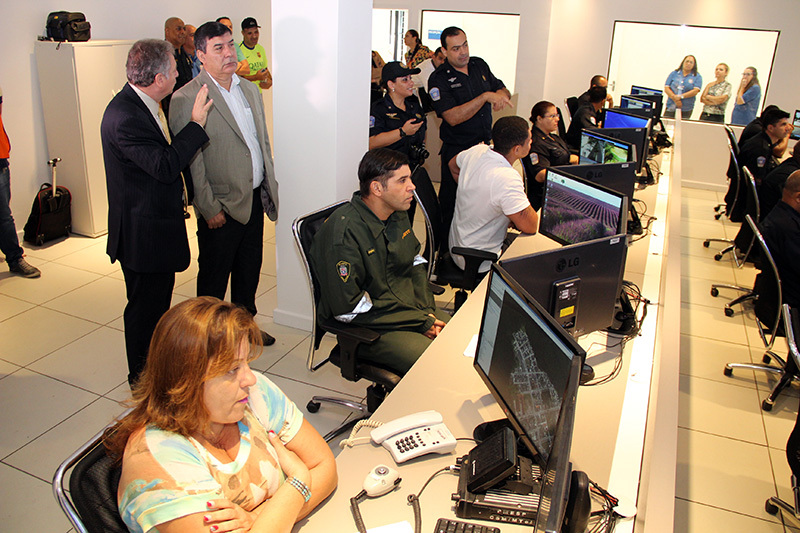 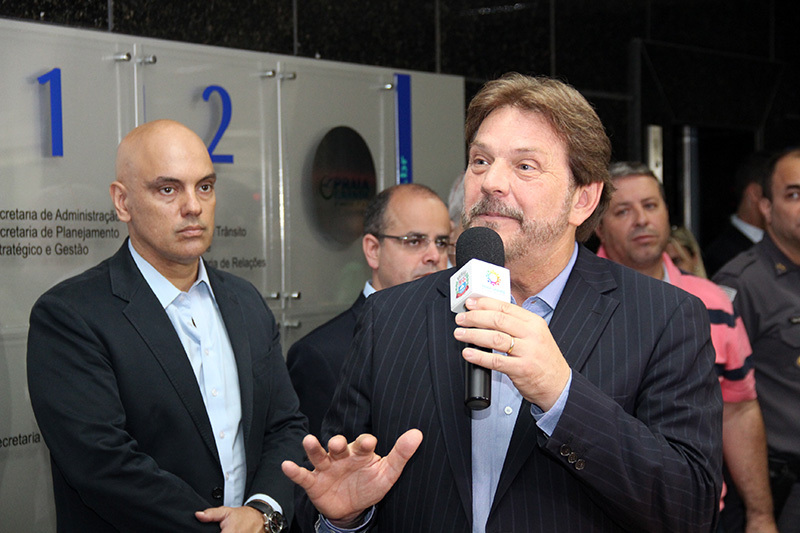 “The enthusiasm by part of Mayor Mourão for the quality of public equipment, the pioneer spirit that the city has developed over the years in this segment, and the long-lasting partnership our software has with the city prepare CICOE to face any technological challenge. 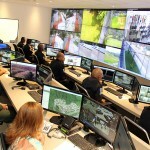 We always immediately meet the demands from City Hall and soon after apply them in the subsequent Digifort versions. 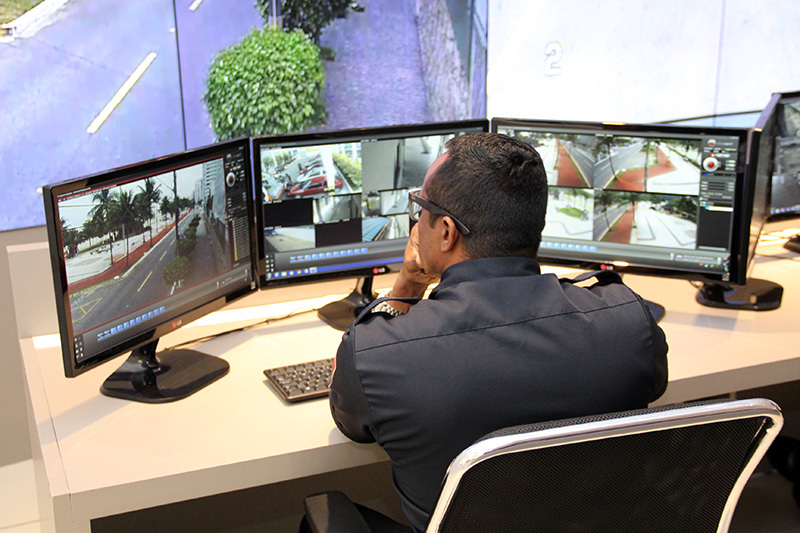 This ensures reliability and speed in meeting the demands. 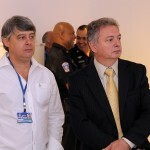 This success case is going to grow and continue improving”, assured Bonilha. 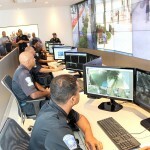 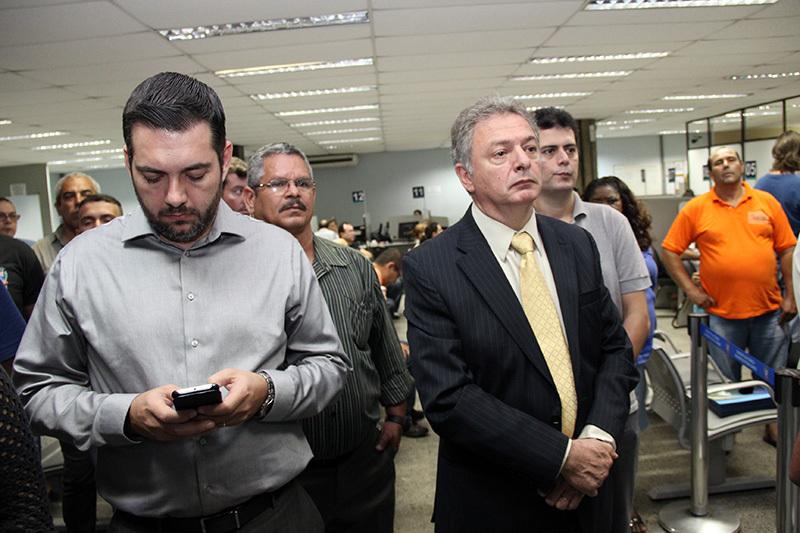 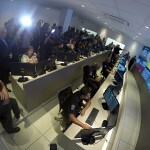 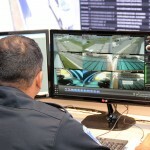 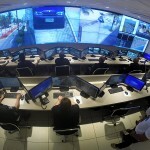 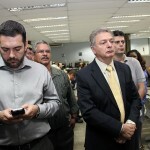 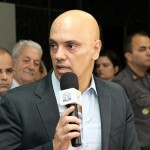 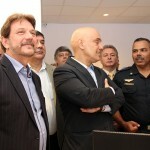 The state secretary said that the idea from the Government of São Paulo is to create an integrated surveillance system, interconnecting the municipalities from the Baixada Santista (Santos Lowlands)/SP and other regions. 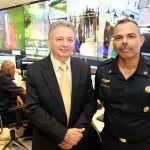 Christened Detecta, the platform is developed by Microsoft in partnership with New York (USA) City Hall. 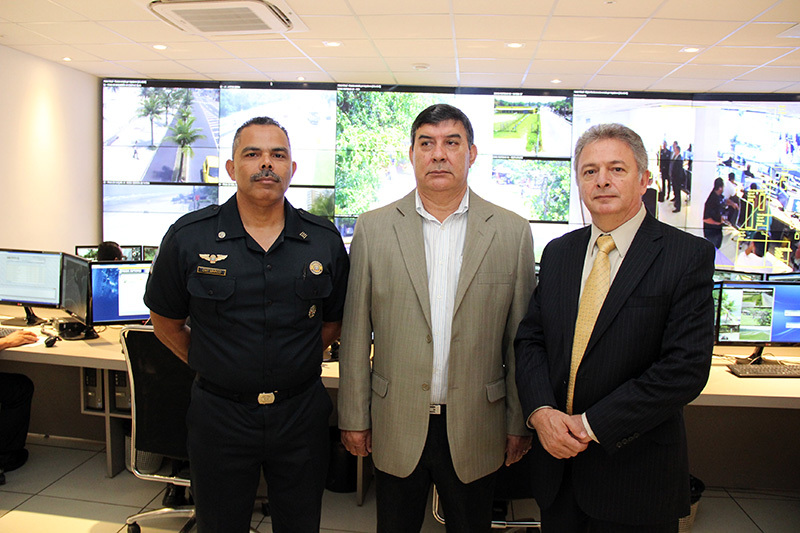 “We will get Detecta started over here in Praia Grande, as it is an example of success and innovation in the segment of urban and electronic surveillance. 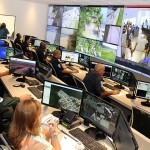 In today’s modern world, security is done with technology and integration between states and municipalities. 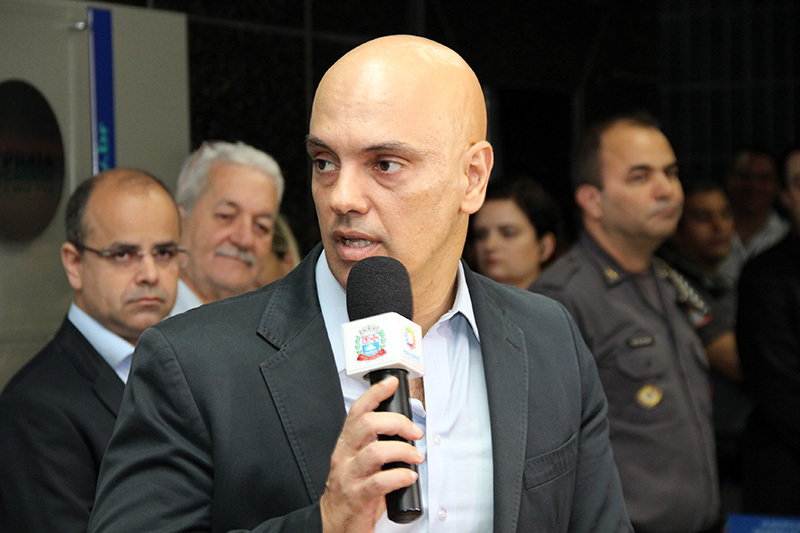 On the other hand, we already find ourselves in the process of forming new civil and military police officers to strengthen security throughout the State”, promised Moraes. 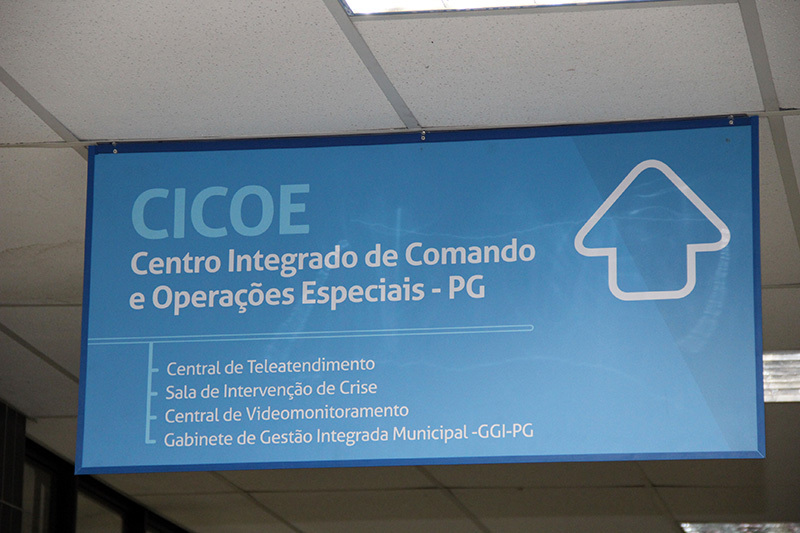 CICOE-PG – Located at the São Francisco de Assis Palace (Municipal Palace), in the district of Vila Mirim, the equipment is also an integral part of the Office of Integrated Municipal Management (GGIM), intended as a place to host meetings of the city’s public security top management and is part of the “Avança PG, eixo Cidade Segura” (Advance PG, Secure City axis) goals plan. 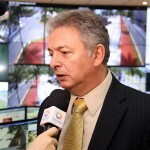 The next goal for Praia Grande’s urban surveillance system is the installation of more than 500 cameras along the 23 kilometers of Presidente Kennedy Avenue, which is an important roadway that cuts across the city, and an additional 100 cameras on Marechal Mallet Avenue, which provides access to Itaipu Fort, universities, bars, restaurants, shops, and homes. 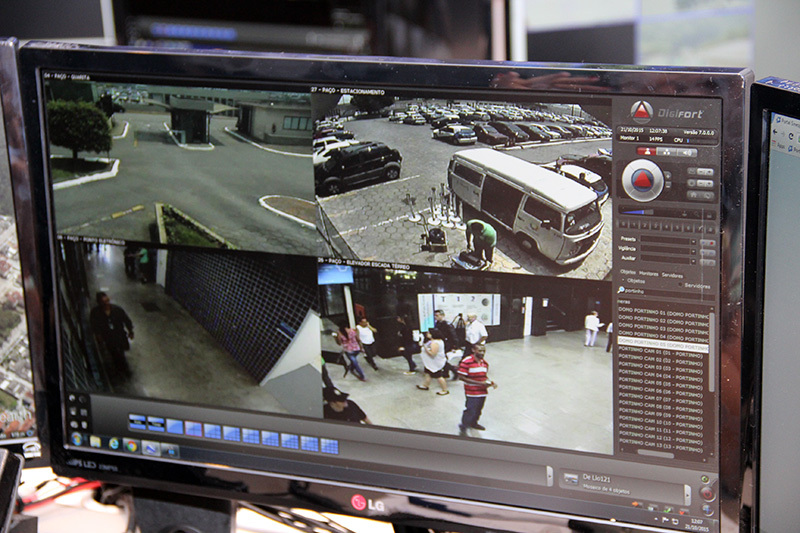 Software: Digifort – IP Surveillance System. 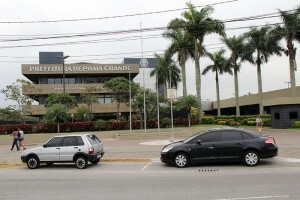 Location: Praia Grande, São Paulo – Brazil. 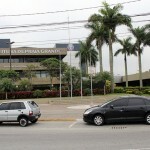 Manufacturers: wide-ranging equipment, brands and models. 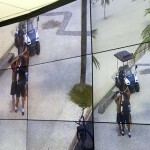 Customer: City Hall of the Seaside Resort of Praia Grande/SP. 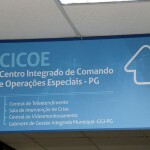 Integrator: Information Integration Department of Praia Grande/SP.